I finally had a chance to visit the J.N. "Ding" Darling National Wildlife Refuge last week. 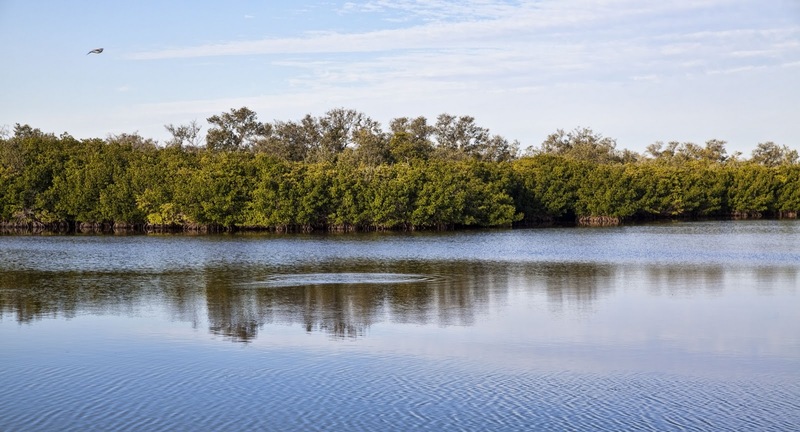 It's located on the barrier island of Sanibel, Florida in the Gulf of Mexico. I've really wanted to visit here for quite some time and was not disappointed. I was only able to visit one day and was lucky to have great weather that day! 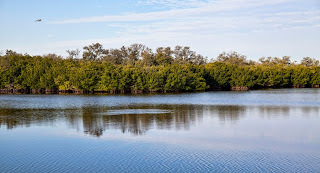 I made two trips through the Wildlife Drive, one early morning and one at low tide, which is reported to be the best time to visit. The crowds were quite large at low tide, so the early morning visit was much more enjoyable. 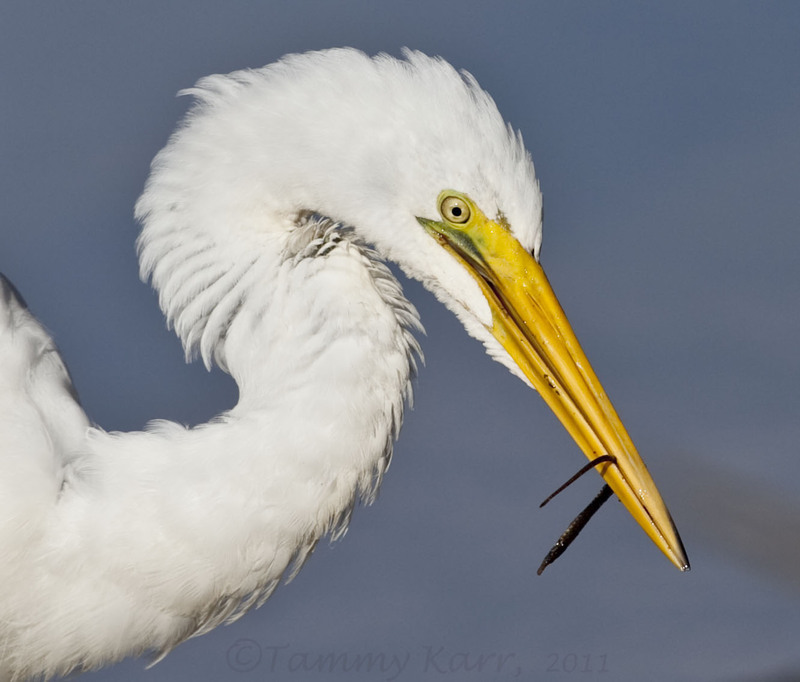 This Great Egret decided to start early on his New Year's resolution to eat less. 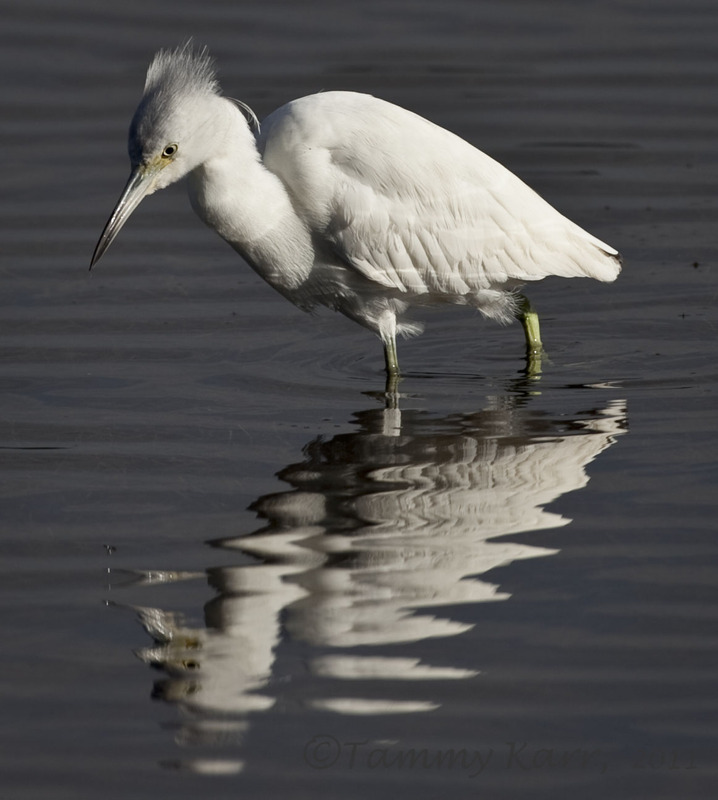 This immature Little Blue Heron was hoping to do better than the Great Egret. This nicely hued fellow was fishing right next to his nonhued immature buddy. 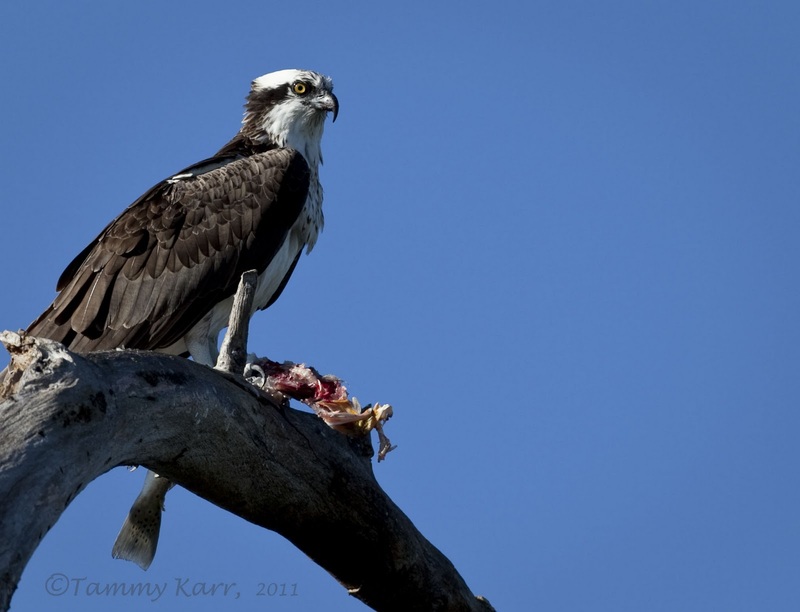 The Osprey appeared to have really enjoyed his catch of the day. Good to the last bite! 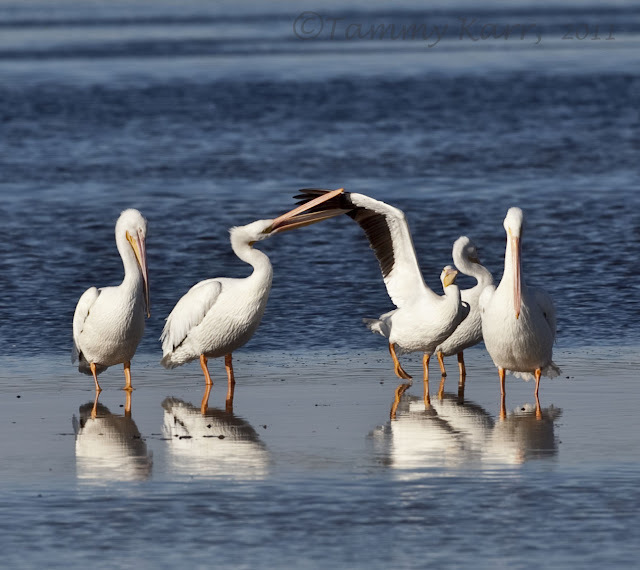 Apparently personal space is an issue with this White Pelican. 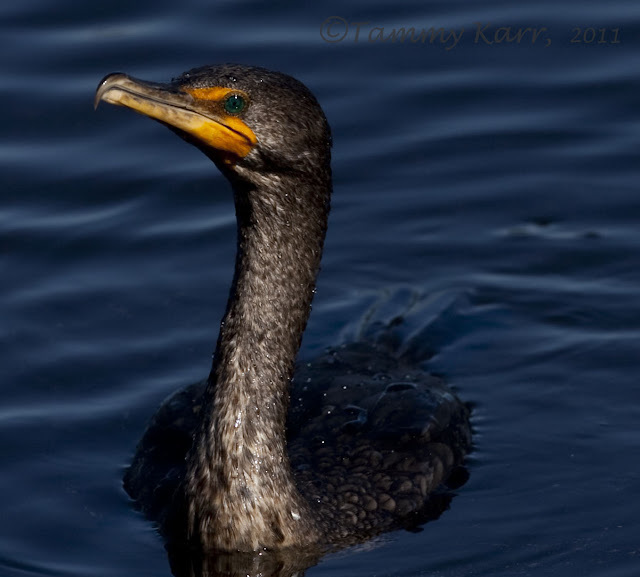 Through the crystal clear, shallow water I was actually able to watch this Cormorant swim underwater. Pretty cool. Tammy, haces unas fotos increíbles. Enhorabuena!! Great Osprey - I'd love to see one that close! Buenas fotos una belleza de aves. Its good thing that you went to Florida, because of the amount of birds you photographed so splendidly. 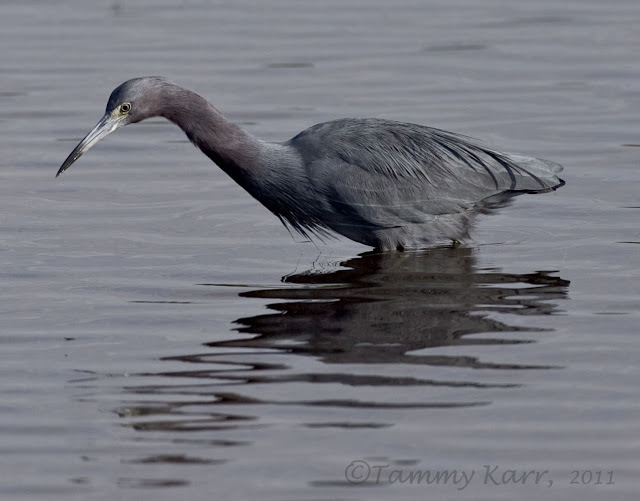 Awesome photos Tammy! They are all marvelous but the last shot of the Double-crested Cormorant is mesmerizing! Seeing that aquamarine eye staring at you is s cool but I bet watching it swim underwater was even more spectacular. I have watched Western Grebes swimming underwater and find it spellbinding!